Cubic Hauling has the best dumpster rentals in Colorado Springs. 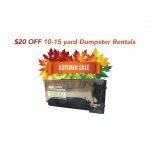 Local Dumpster Rental Company Colorado Springs – Save Money and Receive Better Service! 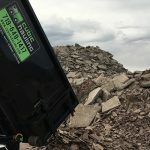 If you need a dumpster and don’t know which company to use, you probably have searched online for “dumpster rental Colorado Springs”, and you were given several listings in the search engine results from Google, Bing, Yahoo, etc. Please be aware that all of the companies listed are not local dumpster rental companies, but rather they are “dumpster service brokers.” These dumpster brokers are not actual dumpster companies located in Colorado Springs, they just have an online presence an appear to be locally operated dumpster rental companies. These “dumpster brokers” are simply a referral service where they sell you a dumpster rental and subcontract your rental out to a local dumpster rental company in Colorado Springs, whom they have a subcontractor agreement with. Lower Costs: our prices are lower because the broker has to charge additional fees to make a profit. Direct Scheduling: you are able to speak directly with our local staff about scheduling your dumpster. Faster/Better Service: dumpster delivery and pickup, and any other customer service issues you need help with fast, will be taken care of directly by us, compared to having to go through a broker. Go Local with Cubic Hauling! 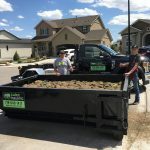 For these reasons, you should go directly to the local dumpster company source to order your Colorado Springs dumpster, such as Cubic Hauling! We help you determine what size dumpster to get. Process your order and submit payment via credit card, check or cash. We know at all times the location of the truck delivering or picking up your dumpster, and it will arrive on schedule. We know your neighborhood since we live in the community too. When you call dumpster companies, ask if they are located in Colorado Springs. Our employees are Colorado Springs locals, and we support our local businesses and pay taxes. Go directly to the source and order your dumpster from Cubic Hauling! 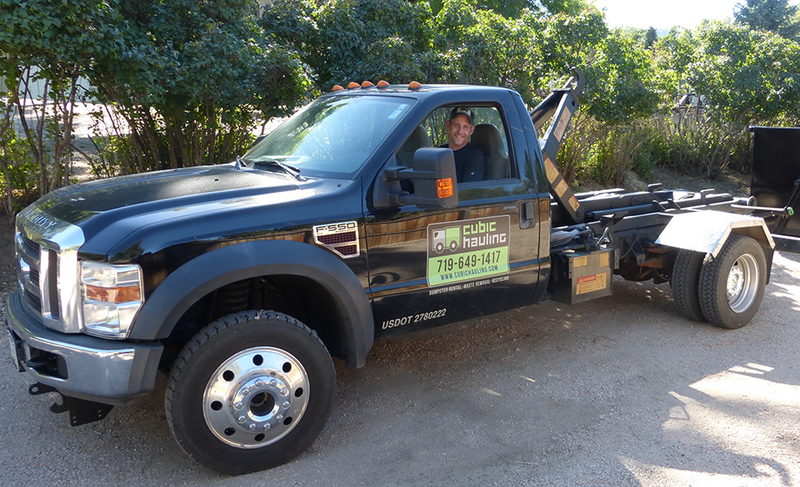 Cubic Hauling offers dumpster rentals in Colorado Springs and the surrounding metro areas. We serve commercial & residential customers for construction cleanup, junk removal, hauling, recycling, waste removal, and more. Call today at (719) 649-1417 for a free estimate!